In terms of my process, I was seeking out patterns in common household objects and attempting to capture them in an abstract way. 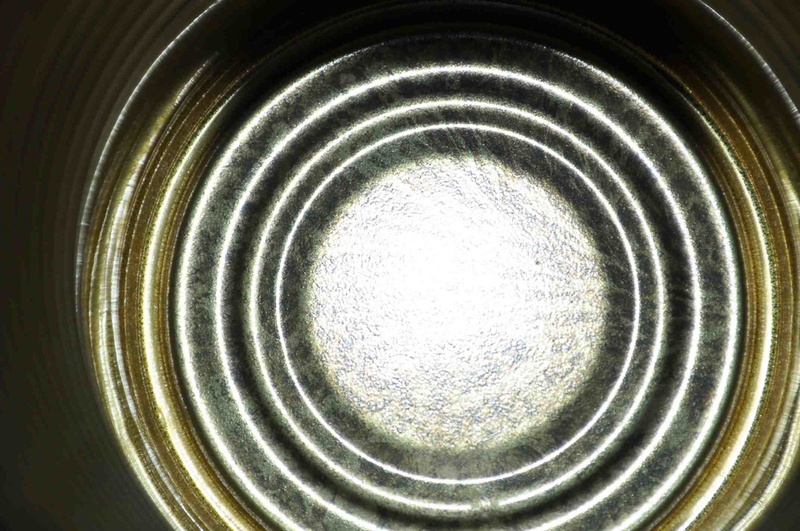 I took this photo using flash to capture the my camera into in order to get a close-up, detailed view that may lead the viewer to not readily realize that it is in the inside of a can. I wanted to really get behind the concept of capturing everyday domestic items in interesting ways that presented them almost outside of their domesticity, which is why I selected the title “Domestic Cadence.” The idea of something being “domestic” generally illustrates a familiar pattern or cadence, but I think the way I captured this object, it make it look as though there is a ripple effect because of the pattern that’s captured, although it’s not a ripple at all because it’s a solid object.